Investing.com – The dollar and the euro were little changed on Tuesday as investors turned their attention to central bank meetings in the U.S. and Europe this week as the U.S. – North Korea summit ended with the signing of a joint statement. The U.S. dollar index, which measures the greenback’s strength against a basket of six major currencies, was almost unchanged at 93.58 by 06:45 AM ET (10:45 AM GMT) after earlier hitting a high of 93.68. U.S. President Donald Trump and North Korean leader Kim Jong Un pledged to work towards denuclearization on the Korean peninsula after the historic summit in Singapore, but few details emerged on how the goals set by both sides would be achieved. USD/JPY was up 0.14% to 110.20, easing back from an overnight high of 110.48, which was the most since May 23. 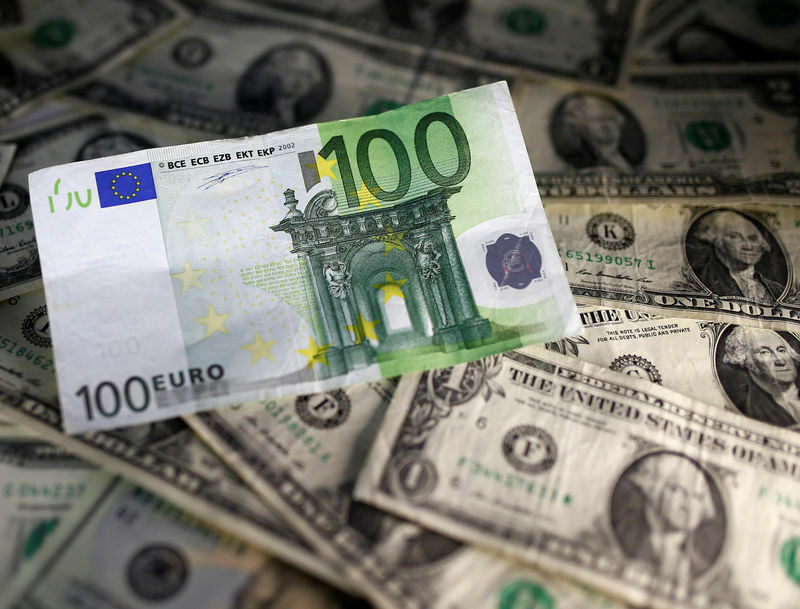 The euro was little changed against the dollar, with EUR/USD last at 1.1785. The single currency remained supported after assurances from Italy on Monday that it would not leave the European Union calmed market jitters. Demand for the single currency was also underpinned ahead of Thursday’s European Central Bank meeting, where it is widely expected to signal intentions to start scaling back its bond purchasing stimulus program. The pound was a touch higher, with GBP/USD up 0.07% at 1.3389 as prospects faded for a rate hike by the Bank of England in the coming months after the latest UK jobs report showed that wage growth slowed last month. The U.S. was set to publish inflation figures later in the day which are expected to show that the cost of living continued to accelerate last month.